Sarah Rosenberg is a registered and experienced Sensorimotor Psychotherapist, specialising in attachment and the treatment of trauma, anxiety and depression. Sarah works from her private practice in Albert Park, Melbourne and provides trauma counselling at the Centre Against Sexual Assault and Family Violence. She has been surprised and excited by the significant changes that Havening has made to the lives of her clients, and also herself. Sarah is available for Skype consultation. Sarah initially came to work in psychotherapy through her experience as a dedicated yogi. Through teaching yoga and meditation Sarah become interested in holistic approaches for supporting general wellbeing, mental health, and healing. Meditation and mindfulness, for the cultivation of steadiness, depth, presence and insight, has been essential part of my own life and daily practice almost two decades. She attends regular retreats in the Theravada Buddhist tradition and continues to work with her own meditation and spiritual teachers. Sarah has a keen interest in the intersections between psychotherapy, spirituality, somatic and Buddhist practice, and the gifts that each of these fields can offer each other, as well as the people she works with. Sarah's primary fascination is with the body, and the relationship between body and mind – particularly how we relate to and experience our body, with its inherent and immense capability for gifting us with ease, joy, and pleasure. As well as the inevitability of our own pain, suffering and eventual physical departure. Sarah continues to feed this interest through ongoing professional training in trauma and early development and attachment patterns, women's work as well as through and her own personal practice, which involves meditation, contemplative traditions and embodied movement practices. 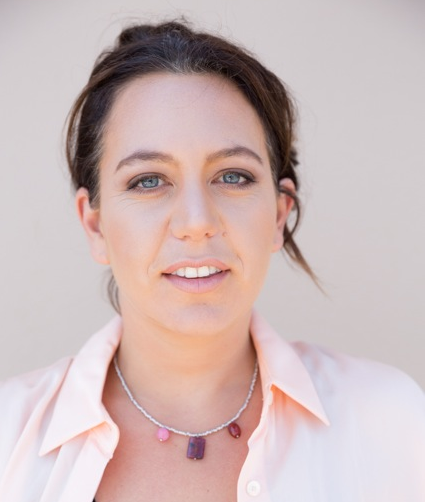 Sarah has trained with the Mindfulness Institute of Australasia and is authorised to teach the world-renowned Mindfulness Based Stress Reduction (MBSR) program. She is currently completing her certificate in Body Mind Centring ® Somatic Movement Education and teacher training with Michaela Boehm.